Fairy Kingdom Fairy v Clock House. 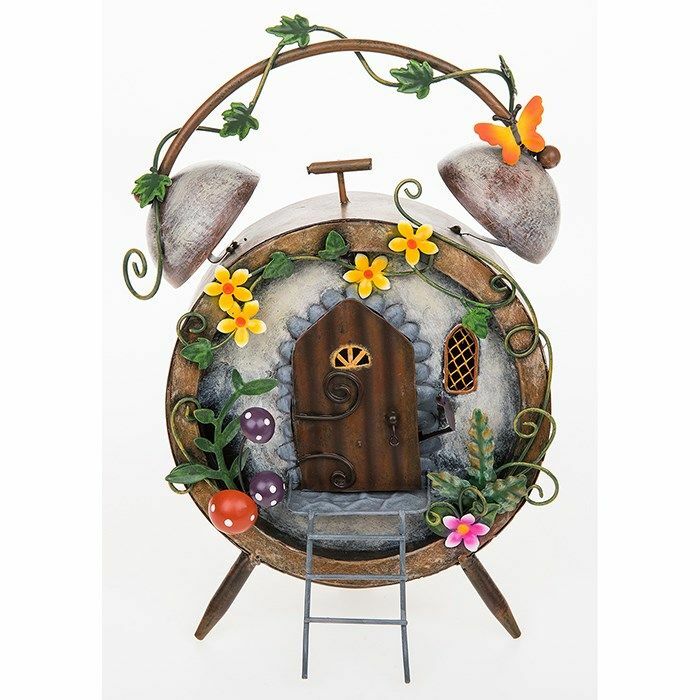 Made from metal this charming detailed house is just perfect for fairies & gnomes. 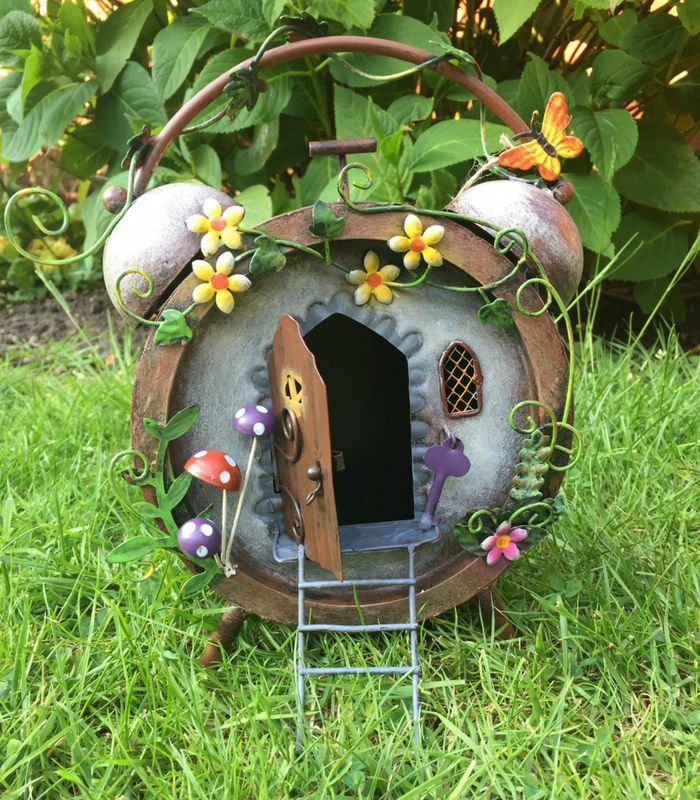 Complete with hand made metal butterflies, flowers and toadstools and a large opening door.